With so many investment options out there it is difficult for regular investors to sift through the noise of investment products and hidden costs and fees associated with them. 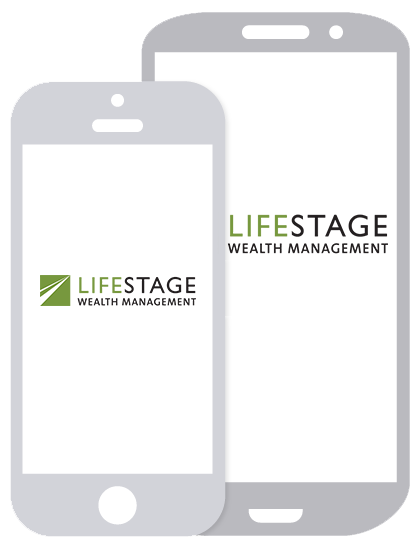 LifeStage Wealth Management works with clients that may not have the time, knowledge or desire to manage their accounts on their own. We take the complexity out of investing to create a customized portfolio to address each client’s personal goals. We are wealth advisors here to help you deal with financial and non-financial needs. Investing is only one of many financial concerns a client has. We work with clients on asset allocation, credit and mortgages, tax planning, education planning, insurance, estate planning, and other needs that may not fit nicely into the investment box. We are your go-to financial advisor. We work to be there before you know you need help. As an independent Registered Investment Advisor (RIA), we have a fiduciary obligation to provide investment recommendations that are in our clients’ best interests. We conduct monthly investment committee meetings to review and analyze our current investments and any others we are tracking for possible uses in a client’s portfolio. We don’t believe that the “buy and hold” strategy of hoping your account is higher in the future is realistic. Our job is to diversify risk through asset classes and get ahead of trends. Our commitment is to meet in person at least annually, and call you quarterly, using our strict investment process to take out the emotion of investments which has proven to have a detrimental effect on portfolios. We do not pick “hot stocks” - as independent advisors we search out investments that are best in class with low investment costs. As an RIA, we exercise 100% transparency on our management fees. Fees and expense can have a large portfolio drag causing overall returns to suffer. We use low-cost institutional mutual funds, exchange traded funds (ETFs), individual bonds and stocks, and various alternative investments to structure a portfolio to reach your goals. Unfortunately many investment advisors hide their cost in high cost funds and commissions.